Eastern State Penitentiary in Philadelphia, Pa. was originally built in 1822-1836. Linking solitude with moral and vocational instruction, it exemplified the Pennsylvania System of penology and became a model for over 300 prisons worldwide. It was closed to prisoners in 1971. 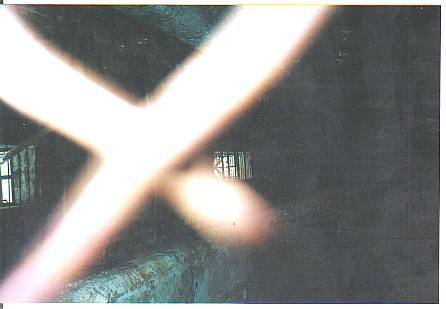 Ghostly vortices in one of the corridors? Not so. These are the strands of chicken wire fencing seperating visitors from access to the corridor. 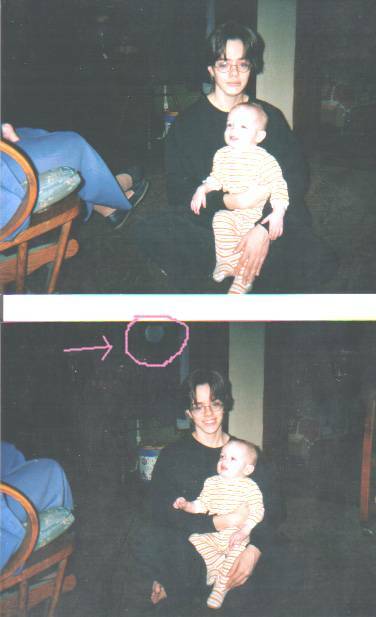 Again, one must be careful when assessing spirit pictures. 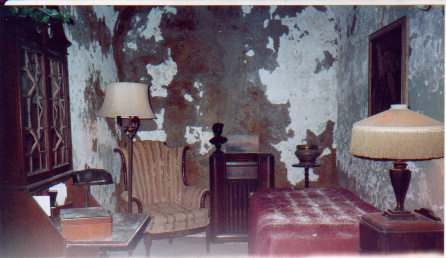 Al Capone's cell. The man did enjoy his luxury, even while incarcerated. Nothing on a spirit nature was captured here, although I wonder about that interesting mist down in the left-hand corner of the photo. Perhaps Mr.Capone didn't leave his luxury after all?